Many people have goals to live healthier lifestyles through nutrition and exercise. The desire to change is often reflected by good intentions to adopt new behaviors such as eating foods that are good for you and exercising every day. However, unhealthy habits may easily override an individual’s good intention. Here are a few helpful tips to make small changes that will make large differences. 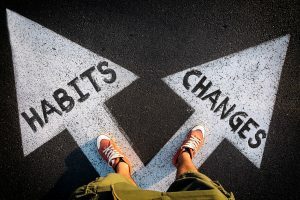 Strong habits, good or bad, are performed frequently in the same context whereas weak habits are performed irregularly. Making conscious decisions to eat better and exercise more may not be enough. It is far easier to engage in sedentary pursuits than physical activity. 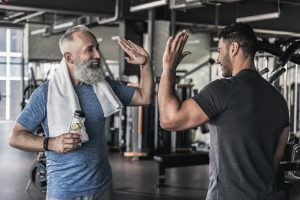 When physical activity alternatives are convenient compared to inconvenient sedentary activities, people spend increased time being physically active. Bad habits such as unhealthy eating provide instantaneous reinforcement, while healthy eating and exercise requires a long term commitment to realize benefits. These modifications may help prevent unwanted behaviors and encourage healthy ones. 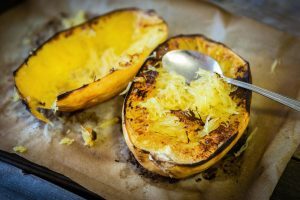 Cut squash in half lengthwise and remove seeds. Cut crosswise into 1-inch slices. Combine 1 tablespoon oil, 1½ tablespoons mustard, garlic, rosemary, lemon zest, ½ tablespoon lemon juice, ½ teaspoon pepper, and ¼ teaspoon salt in a large bowl. Add chicken and the squash and stir to coat. 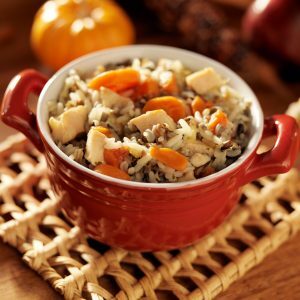 Arrange in a single layer on the prepared pan. 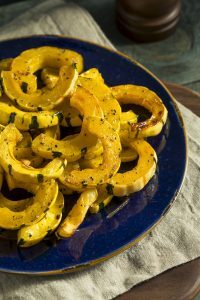 Bake, without stirring or flipping, until the squash starts to brown and the chicken reaches an internal temperature of 165°F, 20 to 22 minutes. Transfer the chicken to a clean cutting board and slice. Meanwhile, whisk the remaining 2 tablespoons oil, ½ tablespoon mustard, 1½ tablespoons lemon juice, maple syrup, thyme, and the remaining ½ teaspoon pepper and ¼ teaspoon salt in a medium bowl. Add greens and toss to coat. Divide the greens among 4 serving plates. Top with the chicken and squash, Parmesan, and pumpkin seeds. Original recipe from EatingWell.com can be found here! Meanwhile, heat oil in a large skillet over medium heat. Add broccolini, garlic and red pepper; cook, stirring frequently, for 2 minutes. Add water and cook, stirring, until the broccolini is tender, 3 to 5 minutes more. Transfer to a large bowl.